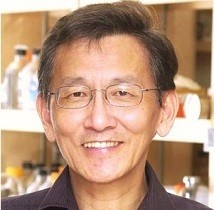 A major research project in Professor Lee’s laboratory involves the use of viruses as anti-cancer agents. His team studies reovirus, a naturally occurring human virus that is undergoing phase I/II and III clinical trials internationally. Another project focuses on the tumor suppressor protein p53 and its link to Alzheimer’s Disease. Clements D, Sterea A, Kim Y, Helson E, Dean C, Nunokawa A, Coyle K, Shariff T, Marcato P, and Gujar S* and Lee P. 2015. Newly recruited CD11b+, GR-1+, Ly6Chigh myeloid cells augment tumor-associated immunosuppression immediately following the therapeutic administration of oncolytic reovirus. Journal of Immunology. Mar 30. pii: 1402132. [Epub ahead of print] (*co-corresponding author). Garant K, Ahn D, Shmulevitz M, Pan L, Daigle RM, Gujar S* and Lee PWK. 2015. Oncolytic reovirus induces intracellular redistribution of Ras to promote apoptosis and progeny virus release. Accepted in Oncogene. (*co-corresponding author). Ahn D, Chisholm K, Pinto D, Sharif T, Gujar S* and Lee P. 2015. Ras transformation results in cleavage of reticulon protein Nogo-B that is associated with impairment of IFN response. Accepted in Cell Cycle. (*co-corresponding author).